The long wait is over and the breeding season is now on the way! 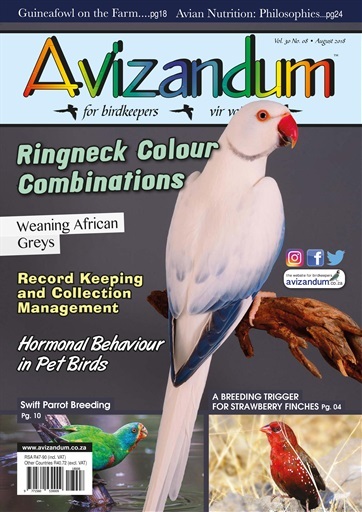 This time of the year is a time that is often eagerly awaited by bird breeders, especially for those of us that have birds that are seasonal breeders. 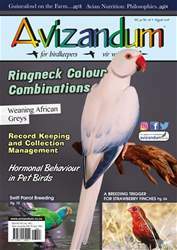 It is very important that during this time of the year we make sure that our bird’s diet has an increase of vitamin supplements and softfood. Some birds such as the Ringnecks will be already laying and babies may be starting to hatch, so it is important to watch the chicks in the nest as this time of the year it is still cold and babies up to ten days old are at risk from getting too cold and dying. Once the body feathers begin to break open and especially if there are three or four babies in the nest, they seem to be safe.